The Scrubba Wash Bag is like a small washing machine which allows you to do your washing while you are travelling from country to country. This wash bag has a flexible washboard and lets you do your laundry anywhere on the road, saving you both time and money. 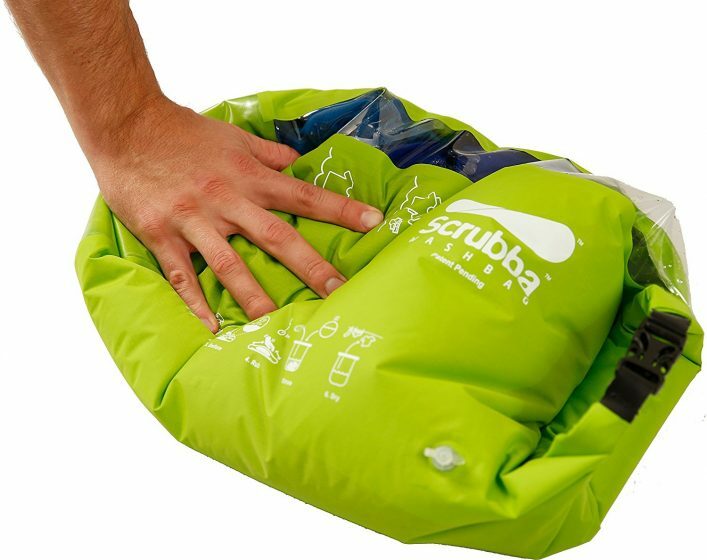 The Scrubba Wash Bag is like the world’s tiniest and lightest washing machine, weighing only 145 grams. All you have to do it put between 2-4 liters of water and a bit of washing liquid inside it. You can then have your clothes fresh and clean, in less than 3 minutes. There are hundreds of Scrubba nodules inside, which will ensure that you have machine quality wash. This is the kind of bag you should take with you if you are on a budget and travelling. This bag will stop you making visits to the hotel laundromats and save you money. Because of its compact and pocket size, you can take it anywhere. With this practical wash bag, you can choose to pack fewer clothes as you will have the opportunity to wash them more frequently. This will also mean you will have a lighter backpack and suitcase. This is a great bag to have if you are backpacking, going on a business trip, camping, going on a boat trip or another outdoor adventure. It is also ideal if you have a small apartment and can’t fit in a washing machine. 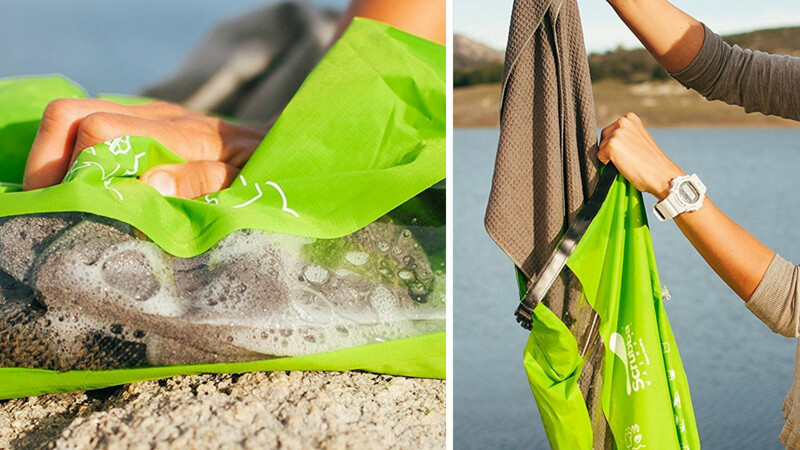 The wash bag also functions as a dry bag in your home and apartment too.